In and of their own right, for many of us, surfaces don’t often take precedence when thinking about our gardens but they are a key element of any garden design. It is the surfaces of the hard landscaping that usually dominate a garden through the winter and set off beautiful planting schemes in the growing and flowering seasons but surfaces are much more than that because the materials used to create that perfect patio or winding pathway carry with them not only functionality but scene-setting, mood enhancing, aesthetic impact that does much of the legwork in hanging a whole garden design together. Previously we have looked at what texture is in garden design (Garden Design Quick Tip: Texture) i.e. 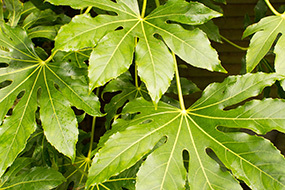 often relating to the surface appearance and feel of a plant – usually ranging from delicate to coarse. Remember to try to think of it as a character element that can be used by itself or with other elements to create a feeling of unity. We love creating texture in the garden because it appeals to many senses at once. You can often tell what something is going to feel like just by looking at it - think of Stachys byzantina also known as ‘lambs ears’ where the leaves have that soft woolly texture and Stipa tenuissima (feather grass) with its fine feathery tendrils that make you want to run your fingers through the leaves. 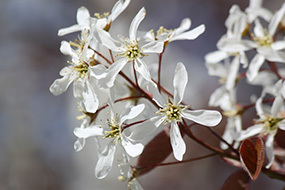 But not all plants feel how they look and it is only by interacting with them – i.e. touching them – that anticipation can be confirmed or surprised. When there is great textural contrast within a border its effects are heightened not only because of the visual and physical impact of how those textures work together but also because the invitation to touch it is so much stronger too. 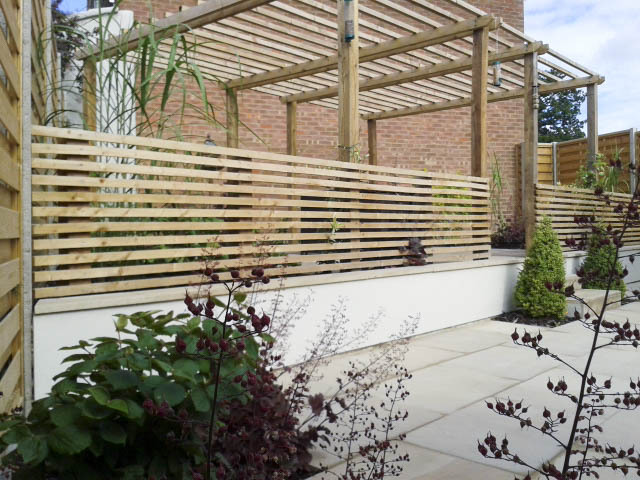 One of the elements of garden design that designers use is that of structure. While perennials and annuals come and go within a garden accenting it, it is the more permanent aspects of a garden - manmade like arbours or pergolas, or plants like shrubs and trees - that gives it structure, adding strength and often character to a space. Trees are brilliant structural plants. When our horizontal opportunities are limiting trees allow us to capitalize upon the vertical possibilities often making the space feel bigger. They also add definition to a space too; for instance a single tree planted in the centre of an island bed defines a space in one way but a line of trees along a pathway adds a different dimension cmpletely. The age of a tree can also add a sense of history or context to a garden while the tree itself brings layers of biodiversity to a garden through the different species it supports. All in all a tree's reassuring presence throughout the seasons makes it a first port of call for any garden designer looking to add structure to a garden. James Wong, Countryfile presenter, ethnobotanist and best-selling author, is to be a new RHS Ambassador to encourage careers in horticulture. James will be promoting the science of gardening and inspiring young people to consider a career in botany and horticulture. He will be showing how important horticultural knowledge is for the planet in dealing with climate change, care for the environment, human, animal and plant health, pollination and much more. James also presented the BBC series ‘Grow Your Own Drugs’ about plant-based remedies sharing his passion for botany. 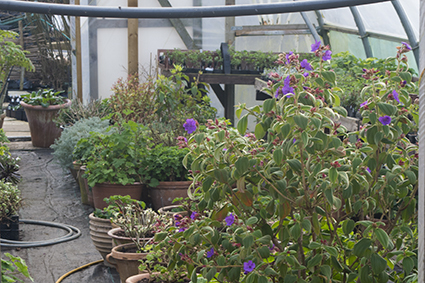 We're also passionate about promoting the opportunities that jobs in horticulture can provide - it's a diverse discipline that requires knowledge of many things: botany, biology, chemistry, business, alongside art and design (amongst others). Horticulture is not often mentioned as a career choice for young people so it's great to hear that a very public figure in our field is willing to champion the cause. We wish James every success in his ambassadorial role and would urge everyone to consider the opportunities available in horticulture just as much as you would any other career option. A while ago I visited the Tobermore plant in Belfast. Tobermore produce concrete paving and walling. I have generally used natural materials in my designs but was really keen to see a product that would compare well for a limited budget. Tobermore use German technology and machinery to produce their wide range of products. They pride themselves on having managed to reduce the occurrence of efflorescence. 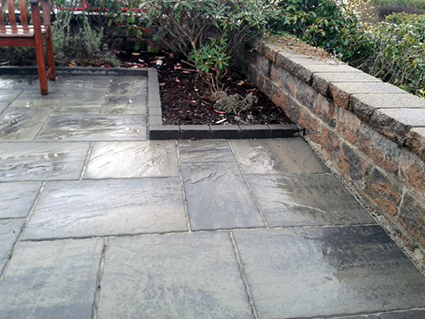 Efflorescence is the cause of those unsightly white marks that can appear on concrete setts after laying. With new manufacturing methods, their concrete pavers last longer and produce less customer complaints in comparison with those of some of the UK market leaders.